* are extra heart sounds caused by turbulent blood flow, sufficient enough to produce an audible noise, ranging from very faint to very loud. * are due to functions and activities of life or of living matter (physiologic conditions) outside the heart. * are a treatable and preventable condition. If not serious, medication will improve the condition. If more serious, surgery may be in order. But what if it is spiritual rather than physical? What then are those heart sounds, from faint to loud, due to conditions outside the heart? Israel had this heart problem. What was it? Murmuring and complaining. And God was grieved and disgusted with this whiny bunch. 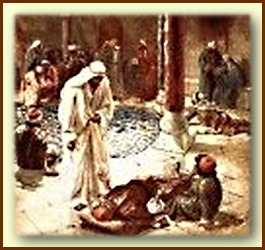 4) death for the entire congregation except for Joshua, Caleb, and those under the age of twenty. That was the Old Testament, you say. But has God changed? All these things happened as object lessons for us, to warn us against whining, complaining, and not being grateful because of life’s adverse circumstances, that we might not receive God’s discipline. He may use different methods today, but His righteous anger has not changed. 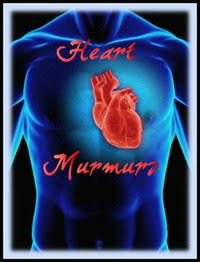 Is a murmuring heart a treatable and preventable condition? Yes! To maintain spiritual health, we replace the whining that destroys the proper functioning of the heart with the remedy of praise and thanksgiving. However, if we do not work on our heart condition, God certainly will, using His own special type of surgery. All Israel had to do was step through the portal of thanksgiving, but their murmuring, disobedience, and impatience slammed the gate shut, barricading the entrance to God’s promise. For forty years, they lived next door to that land of milk and honey, but most of them never lived to set foot on it. The wilderness takes its victims while they are yet wandering in their complaints. To live in the Land of Promise, you must step out of the wilderness of murmuring. Does your heart pour out too much whine or pulsate with praise and thanksgiving?